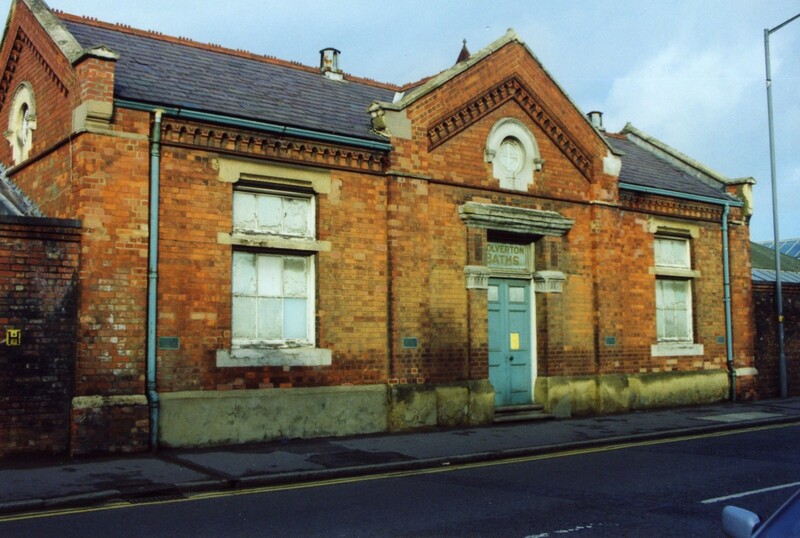 The Old Bath House currently the home of Living Archive was built in 1890 by the North Western Railway Company. It replaced the Green Lane Baths which were found to be insufficient for the largely increased population of Wolverton and neighbourhood. The new Bath House was erected along Stratford Road on a piece of land standing between the new Wolverton Works Finishing Shop and the Horse Box Repair Shop on the London and North Western Railway’s premises. The new baths provided for sixteen baths at a time. ‘They are fitted up in the most modern style with every requirement and the official in charge is most civil and obliging – Bucks Standard Newspaper – May 1893. The photograph above was taken around 1990 before the Bath House was converted into offices and a community building added as part of the Wolverton Tesco development. This entry was posted in Places, Wolverton, Wolverton Works. Bookmark the permalink. All the times I have been to the Museum I have never seen the replica bath cubicle there. I shall have to ask about it next time I go. As far as I know it was part of the Wolverton Works exhibition in the Transport Hall although it may have been moved.